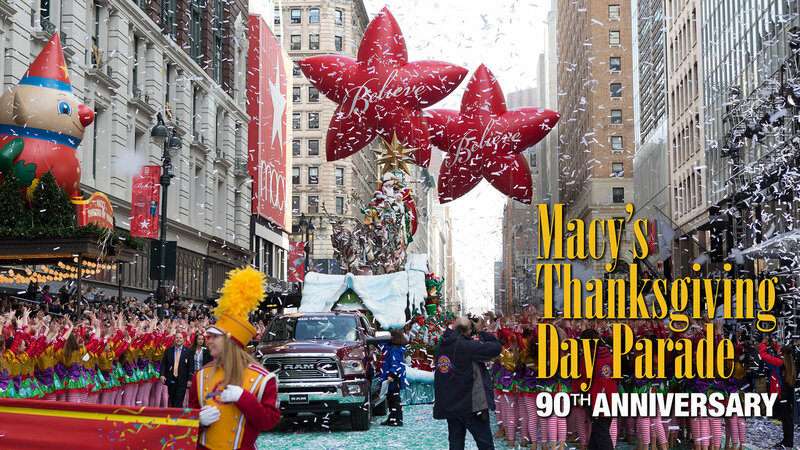 Do you want to go to the Annual Macy’s Thanksgiving Day Parade but don’t know where to stand? Or when it starts? Or what’s new this year? Well the below guide is your go-to for info on this year’s parade! Where: The parade starts at 77th Street and Central Park West and travels south along the park. Then the route turns East at Columbus Circle, follows along Central Park South and turns right to head south on 6th Avenue until 34th Street where it travels east until arriving in front of Macy’s Herald Square. There’s 2.5 miles of public viewing along the route but space fills up quickly – some people even camp out as early as 6 am! No or Limited Viewing: 75th to 77th Streets at Central Park South, 34th to 38th Streets at 6th Avenue, 34th Street between 6th & 7th. The start and end of the parade has very limited viewing due to balloon organization and television broadcasting. This app gives you a virtual experience during the parade, so when you’re waiting for the next float or balloon to pass by, you can hold your phone up and see how the balloons and buildings looked back in the day. You can also use it in store to catch Macy’s balloons – something great to occupy the kids with while doing some early holiday shopping!